Not every person who makes a will remembers to update it following significant changes that could affect the nature of gifts that were bequeathed in the will. Unfortunately, failing to update a will could result in a beneficiary losing out on an inheritance. Generally, a testator may make a general bequest to a beneficiary in his will, which would be an inheritance paid out of the estate’s general assets. Alternatively, the testator can make a specific bequest, which would leave an identified asset to a beneficiary. For example, a testator can make a specific bequest leaving a ruby necklace or a particular painting to a beneficiary. This specific bequest should be passed on to the beneficiary in a pretty straightforward manner after the will goes through probate. However, a problem arises if the testator sells the asset that is supposed to be passed in the specific bequest, or it is stolen before his death and he forgets to update his will. When this happens, the gift is no longer in the estate at the time of the testator’s death, and the specific bequest to the beneficiary fails. This is known as ademption. When the gift fails, it means that the beneficiary who was supposed to receive the specific gift may not receive anything under the will. This applies to any proceeds from the sale of the gift if it can be traced. For example, if the testator sold the ruby necklace and used the money to buy a pair of diamond earrings, the beneficiary is not entitled to receive the diamond earrings. Similarly, if the ruby necklace was insured, and after it is stolen the insurance money is paid to the testator, the beneficiary will not be entitled to the insurance money unless the testator makes changes to the will. Ademption can happen in this way – where the gift is sold, given to another person, or stolen – or, it can happen through satisfaction. When the testator gives the beneficiary the gift during his lifetime, then the bequest in the will fails, but only because it was already satisfied during the testator’s lifetime. Ademption by satisfaction can be tricky if the gift is a sum of money given to a beneficiary while the testator is still alive. In this kind of situation, the testator has to keep a detailed accounting of the amount given to the beneficiary, and declare that it represents the beneficiary’s gift as bequeathed in the will. Otherwise, there may be some confusion as to whether the testator was simply giving the beneficiary more money during his lifetime without intending it to be deducted from the inheritance. If you have a will and trust in place, you should have these documents reviewed by an experienced estate attorney periodically to ensure that the provisions are still valid and will transfer property according to your wishes upon your death. 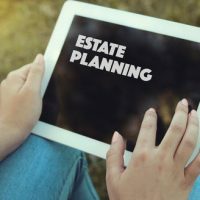 For a consultation to update your will and your larger estate plan, call an experienced estate planning attorney from the Millhorn Elder Law Planning Group located in The Villages, Florida.